Totally checking out The Jacket Maker after this! 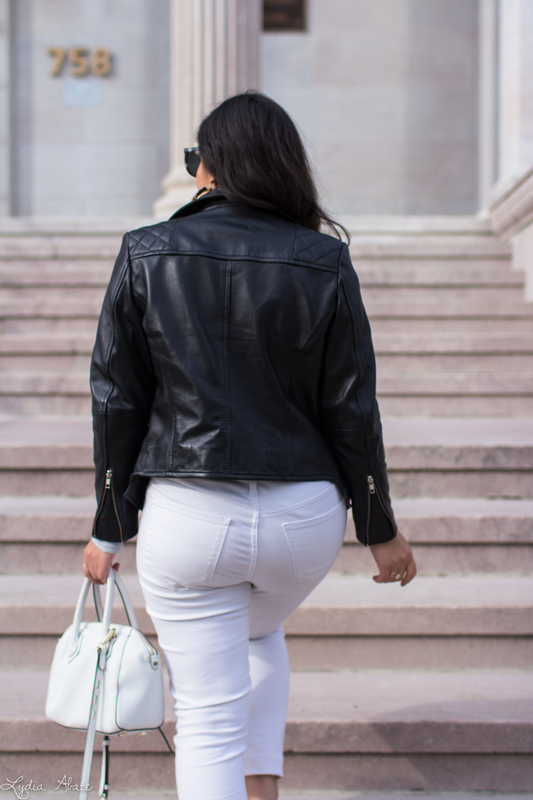 Getting the perfect leather jacket sounds amazing and yours look amazing on you! That jacket looks amazing on you! I love that they take your measurements and make it just for you! That's definitely going to be a great staple for years to come! What a gorgeous leather jacket! 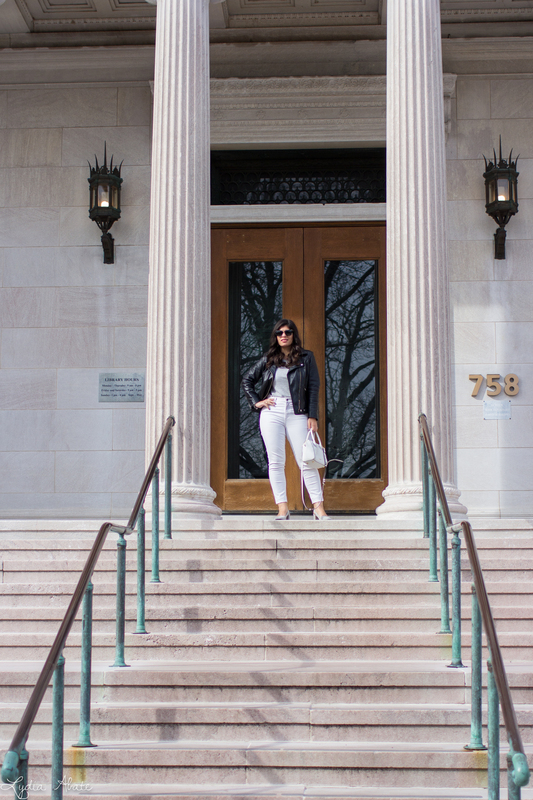 Love how you styled this whole outfit! That is so stunning! I seriously love it so much. What a great opportunity to get such a perfect jacket. 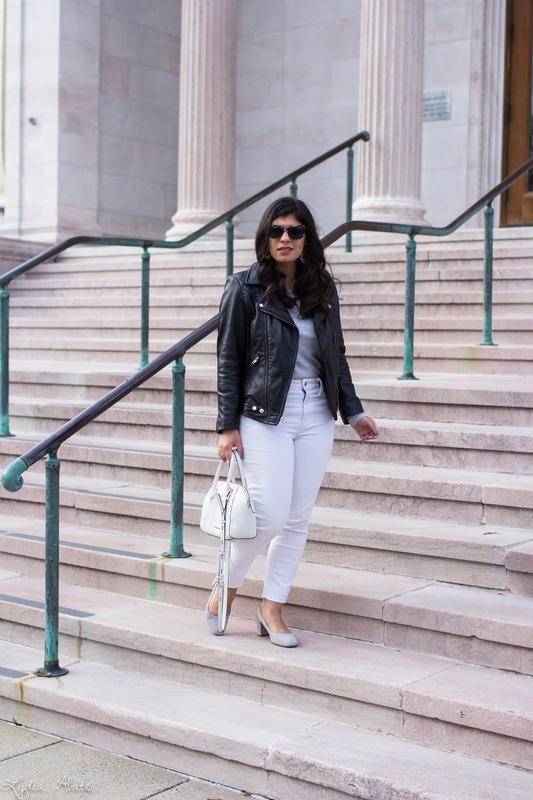 You're right, this is the perfect leather jacket!! Also love the shoes! That is such a beautiful jacket on you! I love that it was custom made too, what an awesome service! 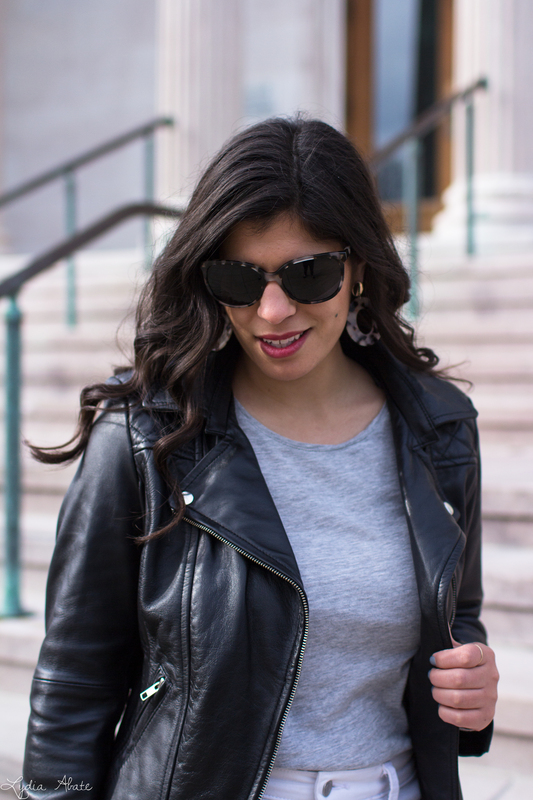 I have a few leather jackets and I really love them - couldn't imagine winter without them, they are perfect for the temps we get here. I can tell that jacket was made just for you it fits perfect! Love this look and drooling over the jacket. This is such a perfect outfit and I am absolutely loving this jacket. 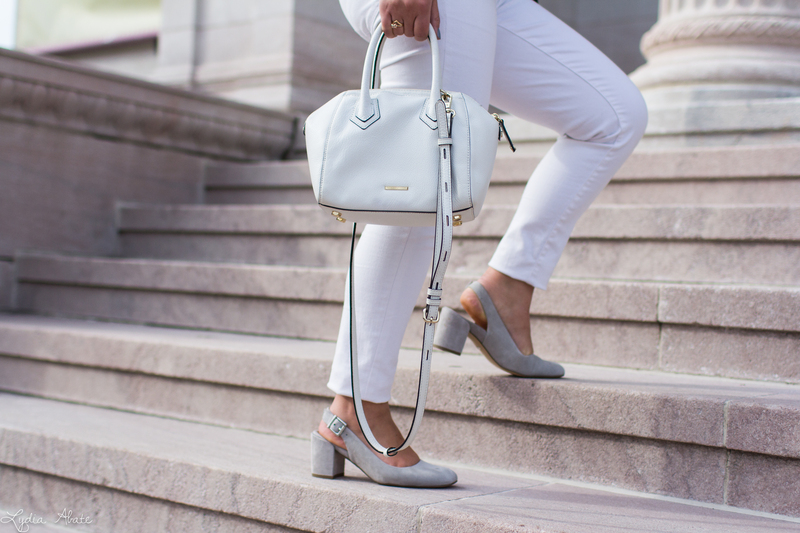 Such a great closet staple!! I love this outfit! It's so cute, and I agree a leather jacket is always a great idea. I need to look for a new one. I love your outfit Lydia! Seems like Connecticut is a lot like Belgium when it comes to the weather. 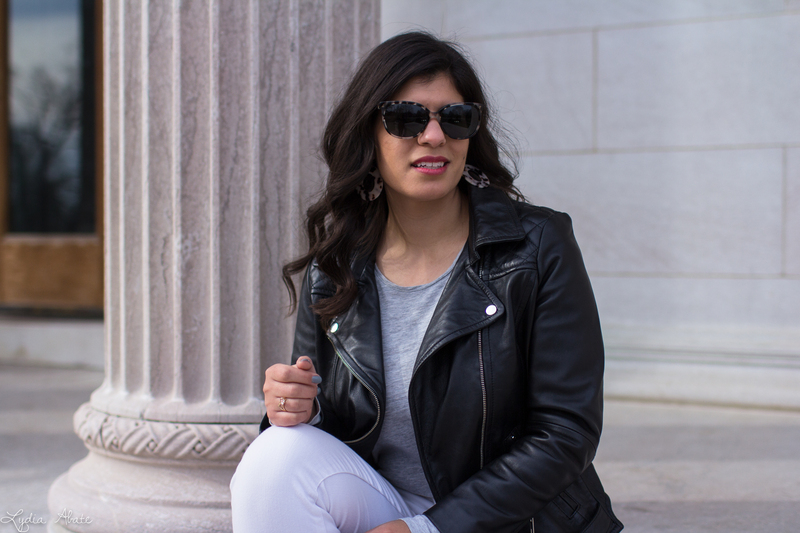 I can only wear my leather jacket in spring and fall too! It's a shame, because much like you, I really love to wear mine. Hope you can get the most out of your collection before summer rolls around, hah! This jacket is incredible! It fits you like a dream. This jacket is so amazing! You look fab! 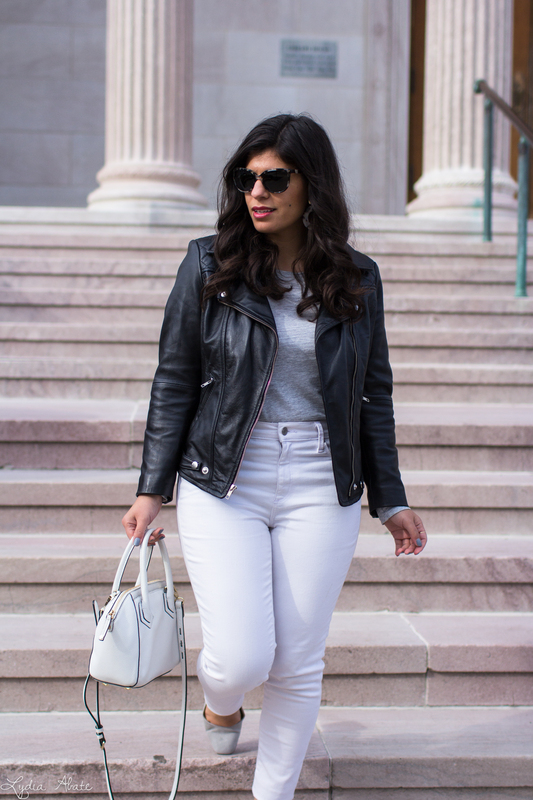 I love how versatile a good leather jacket can be! You styled this perfectly. A good leather jacket is the wardrobe essential, as far as I'm concerned. I just pulled mine out for the first time this weekend and being able to wear it instead of a coat was just so satisfying. It doesn't seem to matter what you wear it with, they really go with everything and make a look just that much better. 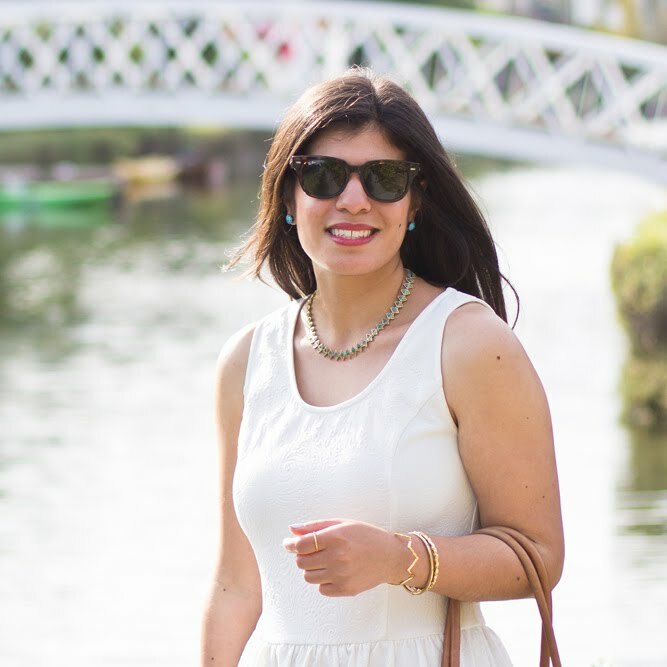 I often pair mine with white and grey so naturally, I think you've got this look spot on - but I also can't wait to see you restyle the jacket with the floral prints you love and wear so well. This entire look is so good! 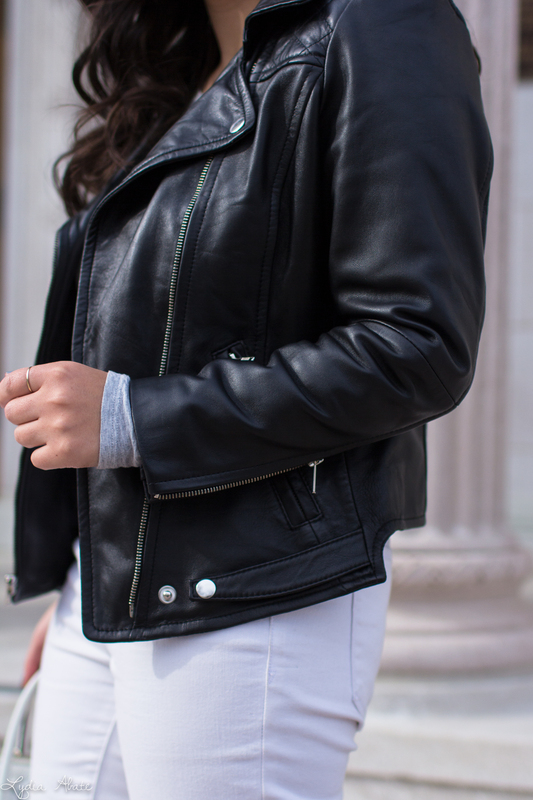 Love a good leather jacket. Oh my goodness, I'm obsessed with this jacket! It fits you like a glove. Wow! A custom leather jacket - amazing! It looks fabulous on you! That is so cool Lydia! I love the little details by the buttons and it's awesome you got to design it. Oh really? a custom made leather jacket? this sounds like the epitome of luxury to me. It is a beautiful garment and it evidently fits like magic. I've never owned a leather jacket. TOO COOL- a custom leather jacket! And it looks amazing on you! Can't go wrong with this classic. You styled it perfectly with those white denims too dear. 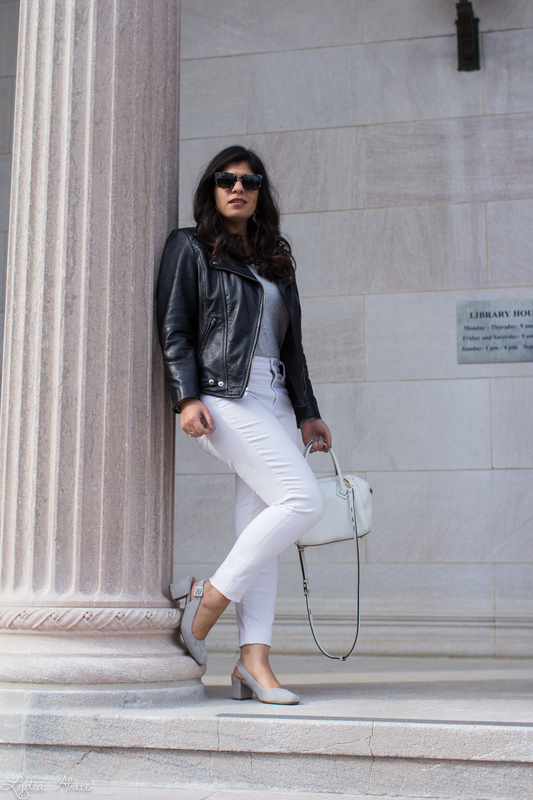 Such a chic look!